There are 4 rope tows and one platter lift rising an amazing 580m vertical and servicing an incredible 500 hectares of terrain. Lift queues are not of consequence. A "nutcracker" (harness belt) is required to ride the rope tows. The "skid row" learners' rope tow is FREE for all riders and great for first timers. 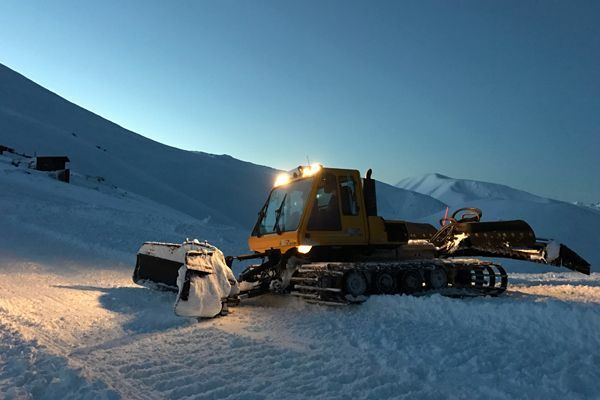 The Platter gives easy riding for both the lower Meadow slope and the learners' area and the Meadow and Tasman tows offer a larger area of groomed and off-piste skiing. The top Apex tow gives access to the secret gems of Fox Peak, the North and South Basins. We pride ourselves in the extent of our off-piste trails with epic powder skiing and breathtaking views from all the main slopes. The Learners' area is fully groomed and great for first timers and novice riders. Bring a toboggan and have some fun on our purpose built slope. The Meadow caters for intermediate skiers whereas the Shirtfront has steeper, fast and exciting runs for more advanced skiers, with groomed trails on the right side and off-piste to the left for the more adventurous. Happy Valley boasts some of the mountain's best skiing and snow conditions with long sunny days and soft deep powder skiing. 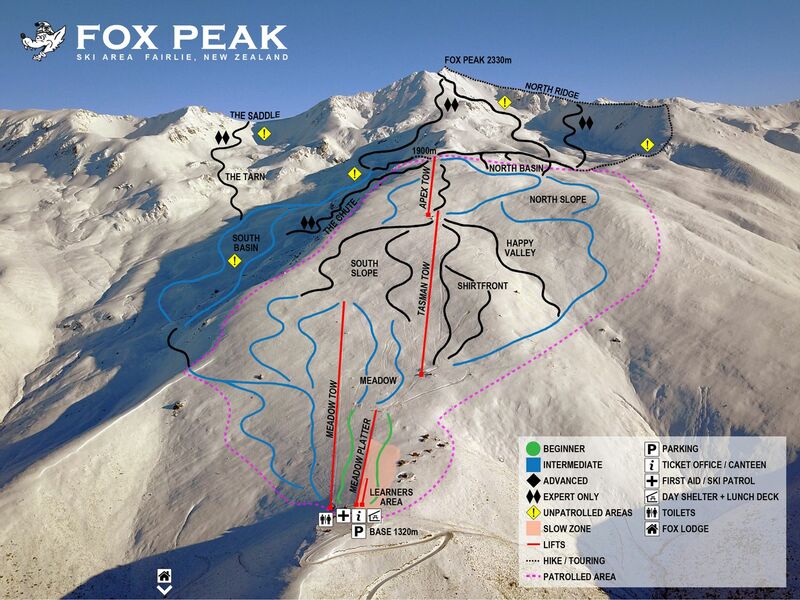 Fox Peak's legendary South Basin sits hidden away at the top of the mountain for those keen for long un-tracked powder runs, as well as the Chutes for expert skiers. The North Basin is also accessed from the Apex tow and offers gentler powder and often groomed slopes. Fox Peak offers some of the world's best ski touring terrain, from skinning up to the peak to the Tekapo traverse. The Peak Ascent is a 3 hour climb from the top of the Apex Tow giving epic back country skiing and stunning views throughout the trip, with well-earned shredding down through deep powder slopes from the summit. The run from the summit to the base is an incredible 1000m vertical. The safest way is via the North Basin up the North Ridge and then down the southern side of the peak, over the "saddle" and down through the South Basin and back to base. 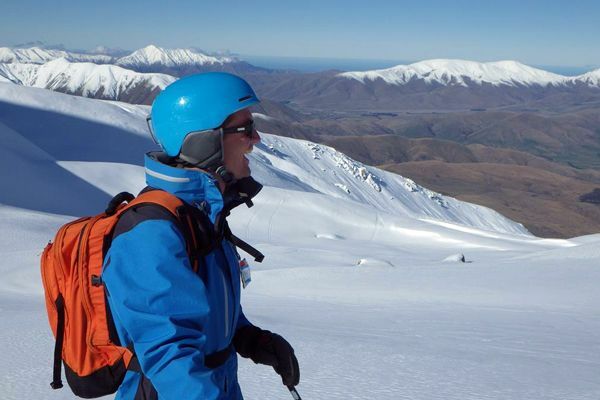 Traverses can be made from Fox Peak to Tekapo (Round Hill) Ski Field taking in New Zealand's most breathtaking scenery. The traverse is a full day trip in ideal conditions. If you attempt this crossing you must take full overnight and above snowline gear. These areas are outside the ski area boundary - skiers and boarders venture at their own risk, must be expert riders and well versed in the mountains. Every person must carry proper safety equipment, transceivers, stay away from avalanche areas and always travel in a group. All ski tourers must be checked in at the ticket office prior to commencement as well as checked out upon return. If you are not riding the tows from the base you will not need a lift pass but there is a small fee for use of the mountain. See the lift passes page for further info. 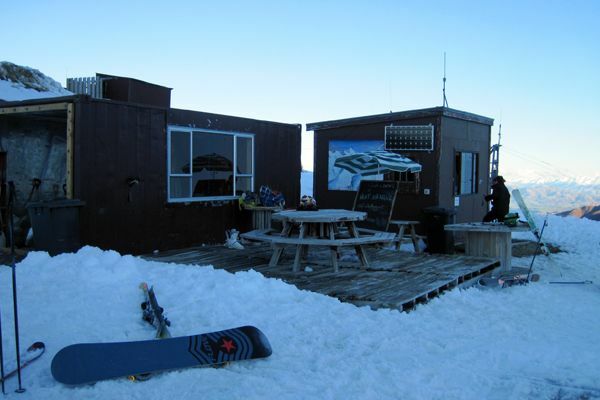 At the base area there is a ticket office, a day shelter, a lunch deck and toilet facilities. There is no restaurant or hot food on the mountain so you will need to bring your own food and drink / water for the day. The ticket office sells a small supply of confectionery and soft drinks only. There is a BBQ available to cook your lunch on. Here you can also get tow belt/harness hire and glove protector mitts. Our Groomer drivers and service people are out there when you sleep making the place all nice and perfect for those loving the corduroy slopes - especially after a big dump. The Learners' is 100% groomed and the Meadow and Shirtfront slopes are groomed on the right side of the tow line, leaving powder for fresh tracks on the left sides. The North Basin occasionally has groomed runs during the season. We take safety seriously at Fox Peak. There is a dedicated ski patroller on each weekend we are open, with avalanche, search + rescue and first aid emergency equipment ready on-hand. You ski or ride at your own risk at Fox Peak and you must obey the mountain and riding rules at all times. First Aid is located at the ticket office. All ski tourers must carry transceivers. 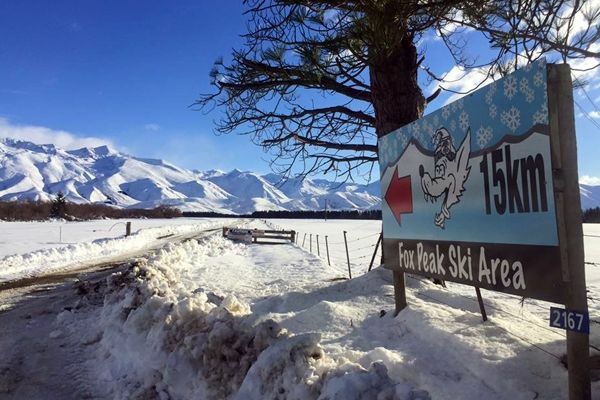 The Ski Area sits beneath Fox Peak - the highest point on the giant Two Thumb Range just 40km from Fairlie, South Canterbury. From Timaru head to Fairlie and turn right at the town monument, and then after 500m take a left onto Clayton Road. From Christchurch / Geraldine turn Right at "Mt. Michael" & "Farm Barn" cafe. Continue past Lake Opuha then turn right at the monument intersection onto Clayton Rd. Stay on Clayton Road and then take a left to enter the Ski Area access road entrance. From here take the road up 15km to the Ski Area carpark at the Base. Access is usually available to all vehicles but chains must be carried.